Gain real-world experience through our internship program. If you need helping finding an internship, talk with the internship director, Prof. Rob Pocock, or stop by the Boerigter Center for Calling and Career in the DeWitt Center. We also have an Internship Search Process form you can use to track your search efforts. *Students with a major GPA below 2.0 will need department approval to take part in the internship program. If you do not have a GPA of at least 2.0 in your communication major, you should meet with your advisor to discuss your options. Confirm you meet all of the requirements listed above. Complete the online Application for Admission to Communication Internship Program. Hint: Email your responses to yourself so you can keep the link and check the status of your application. Email a PDF of your detailed degree evaluation to the internship director. Obtain a recommendation from a communication department faculty member by providing him or her with the link to the Faculty Recommendation Form along with your résumé. The next phase is to secure an internship. Once approved for the program by the internship director, you must secure an internship. 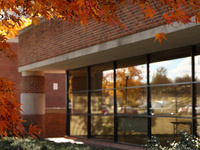 Handshake lists dozens of internships that are posted by the Boerigter Center for Calling and Career on a daily basis. You can also secure your own internship via your network of family and friends. After your internship is secured, request an Internship Agreement Form. The internship director will email you the form, which both you and your site supervisor must complete. Your site supervisor is the person who will serve as your “boss” for the internship. He or she must confirm that you will be working at least 168 hours during the course of the internship and that you will be assigned at least one major project worthy of four academic credits in communication. Once the internship director approves the Internship Agreement Form, complete the Academic Internship Registration Form and turn it in to the Registrar's Office to enroll in COMM 399. You should complete the Permission to Register for an Academic Internship Form which allows you to enroll in COMM 099. This will hold a place in your schedule so you are still eligible for housing assignments and financial aid determinations.